This was a fairly easy dish to make. 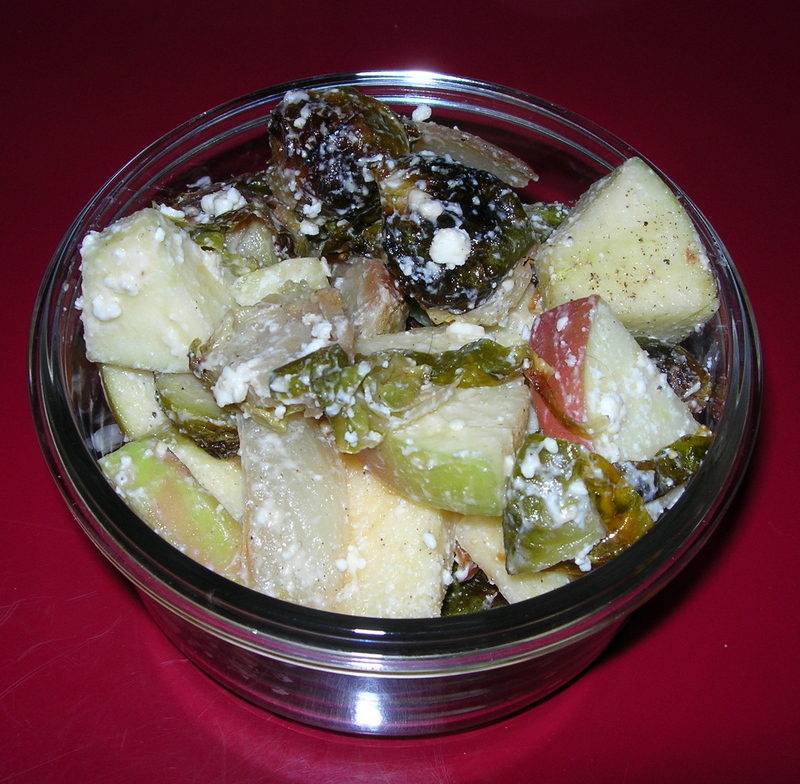 It is more of a warm salad than a casserole, but you consider it whatever you like. Whatever it is, it is tasty. I started by making some lovely red lentils. I used about 1 TBSP of reserved bacon fat that I had saved from another mea. I put it in a small kettle on medium heat with 1/2 cup of chopped onions and 2 cloves of minced garlic, salt and pepper. I cooked on medium heat until they were tender and the onions transparent. I then added 1 cup of red lentils and stirred a bit. Then I added 2 cups of water and brought to a slow boil. I kept it simmering, stirring occasionally for about 20 minutes or so. Then I took it off the heat and put a lid on it, letting it rest until all the water was absorbed. After I took the lentils off the heat, I heated a fry pan to medium high, adding 1 cup of chopped bacon pieces. After most of the fat was rendered, I added 1/2 cup of chopped onions. salt and pepper. I cleaned the red chard, separating the stems from the leaves. I chopped the stems into 1/4 inch pieces and tossed them into the bacon and onions. I cooked for about 3 minutes so the stems became tender. Then I added 2 cups of finely chopped red chard leaves. I stirred in lightly, adding some salt and pepper. I then added 2 TBSP of red wine vinegar. 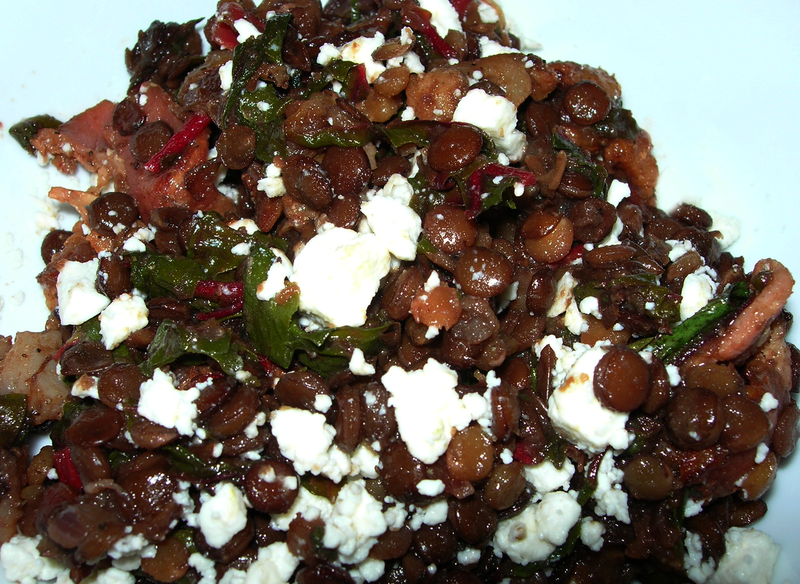 I added the lentils and mixed them in with the chard. If you have no red wine vinegar, use fresh lemon. This dish needs the acid. Then I let it all rest for about 10 minutes so it was warm, not hot. 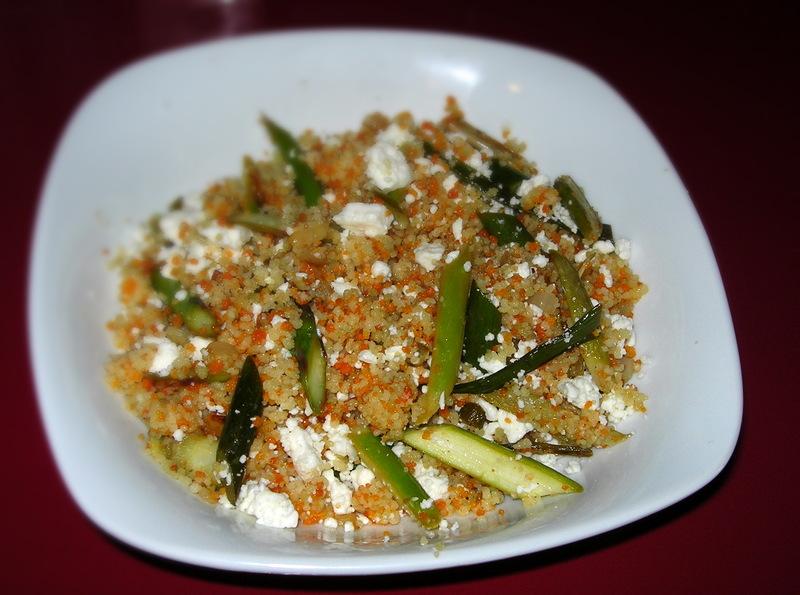 I served it in a bowl with a sprinkling of feta on top. Makes 4 servings. 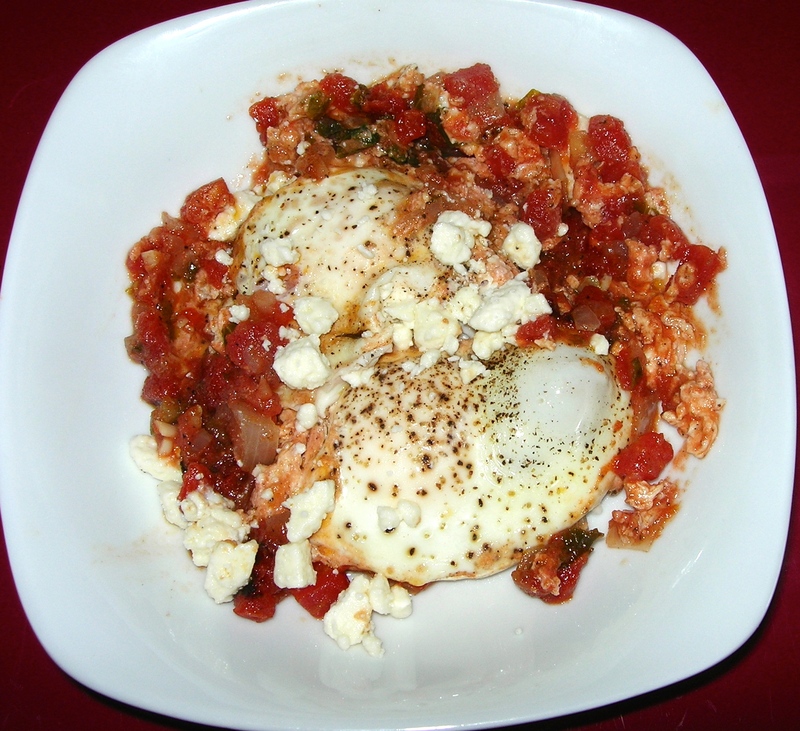 I was inspired to try this Middle Eastern egg dish for a mid-morning brunch thanks to friends on my timeline. I am so glad I did. I did not have fresh tomatoes to make it from scratch and used a can of diced tomatoes with green chiles. It was still delicious and incredibly easy. I put a tablespoon of olive oil in an iron skillet and brought the heat up to medium. I added 1/4 tsp of cumin and 1/4 tsp of cardamom and let them simmer in the oil until the rich aromatics scented the room. Meanwhile, I diced a small yellow onion and 2 garlic cloves. I added the onion, salt and pepper and let sauté and then added the garlic along with 1 cup of finely chopped fresh kale. The kale is not usually found in Shakshouka but I don’t care. It was what I had on hand and added a delicious grounded earthiness to the flavor. I then added a 14.5 ounce can of diced tomatoes with green chiles and some salt and pepper. I filled the can about 1/3 full and added water and let it come to a nice simmer. Then I cracked 6 eggs on top and let them cook. I wanted the yolk a little more done than recommended, so I put the lid on towards the end. I continued to let them poach until completely done. This made 3 servings You could, if you like, reserve the sauce and poach just 2 eggs at a time. It’s rich, spicy and very filling. 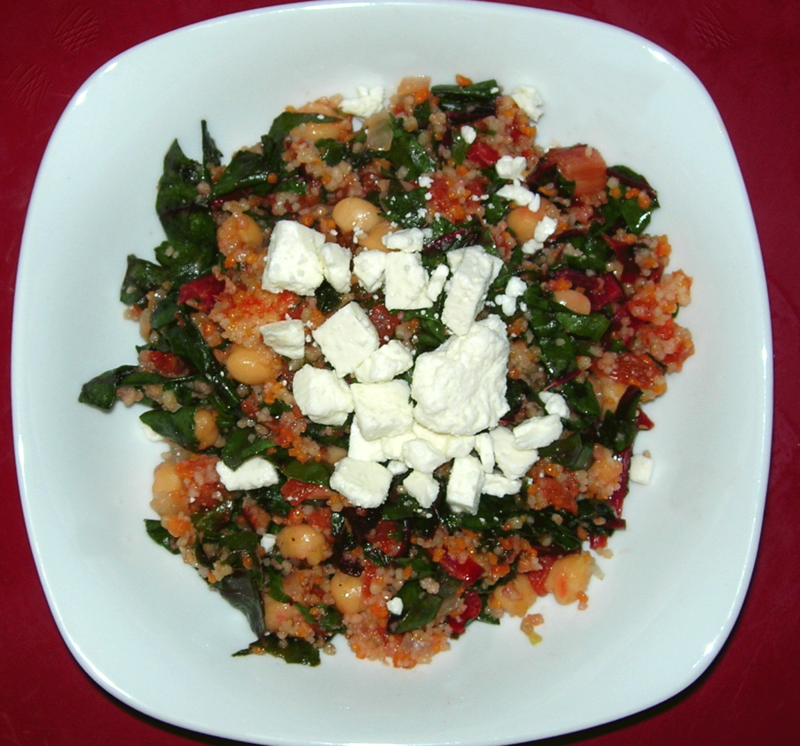 I sprinkled some feta on top but that could easily be left off because with the spicy tomatoes, it was superfluous. I heated the leftovers for another meal – using very low power so they eggs didn’t freak out and this time, I sprinkled a bit of sumac on top and that seemed to marry the flavors even better. 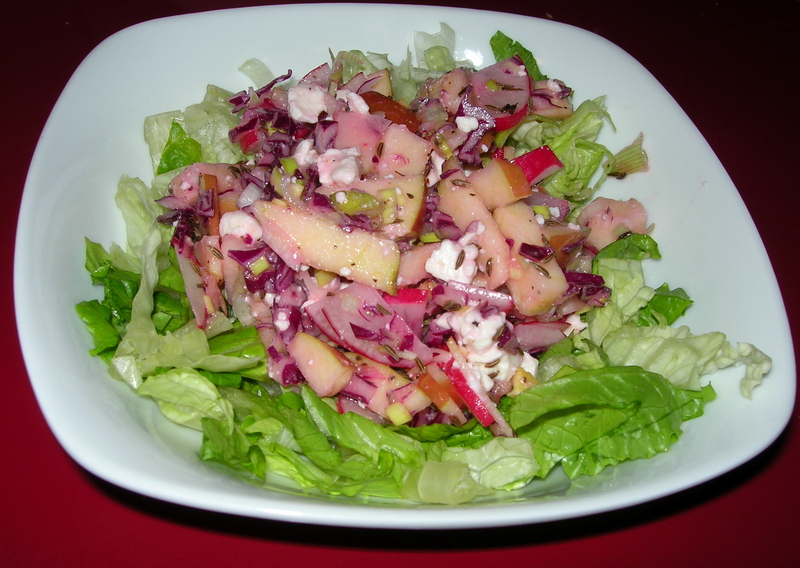 This was a quick and easy salad to top some lettuce rather than using a salad dressing. I laid a bed of romaine lettuce. In another bowl, I added about 1/2 cup of shredded red cabbage, 1 apple cored and sliced, 2 radishes sliced thin and 1 celery stalk chopped. I also added about 1 TBSP of chopped red onion. 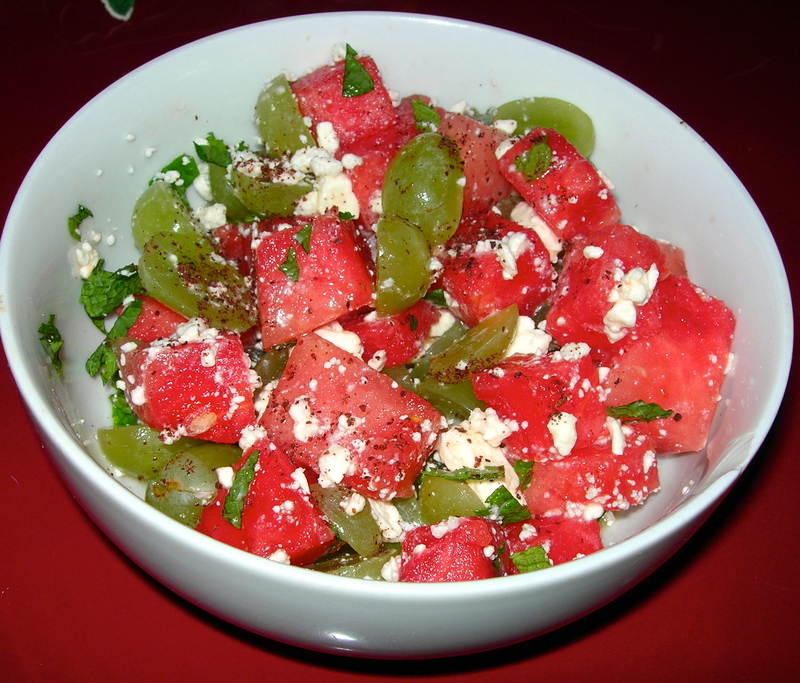 I sprinkled a bit of feta cheese, ! tsp of walnut oil and balsamic vinegar on it and mixed. I tossed this on top of the lettuce and ate mixed together. 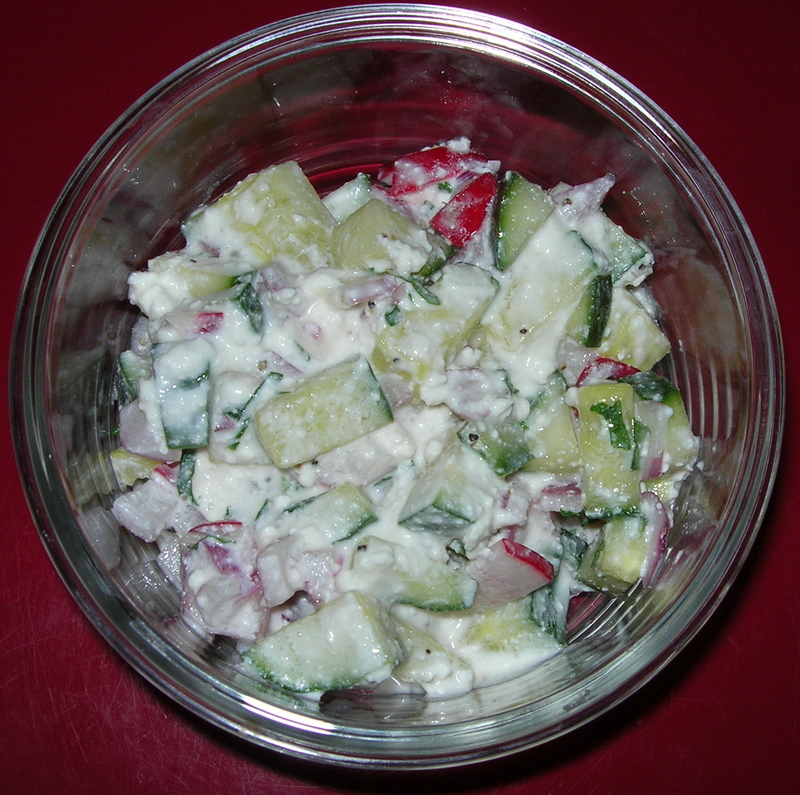 I chopped 1/2 of a cucumber, 2 radishes, about 2 tbsp red onion and mixed with 1/2 cup of feta cheese. Adding about 6 leaves of fresh mint chopped up fine, I added 2 TBSP of vinegar and mixed it altogether for a quick and easy salad. This is a fresh, light salad with a bit of zing from the mint and the radish and lots of creaminess from the feta. This made 4 small servings.